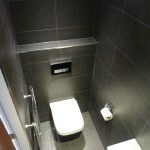 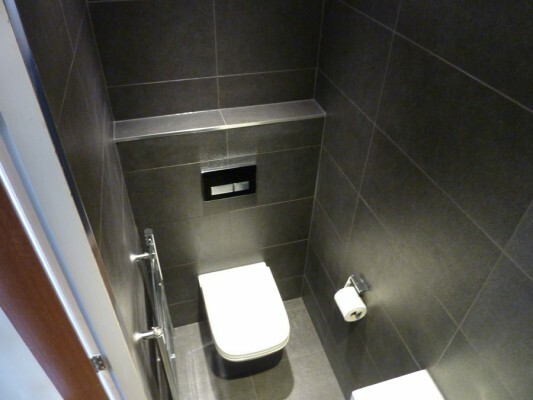 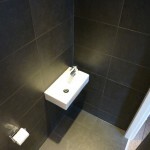 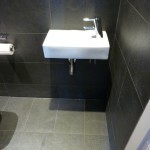 A contemporary cloakroom with black tile, wall hung toilet pan and basin to maximise space and give a spacious feel to the room. 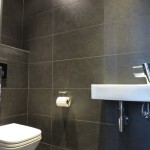 Minimal, functional and stylish too. 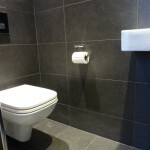 Bathroom, ensuite, bespoke lounge cinema and new internal doors.